Proposed legislation that would have convicted drivers with even trace amounts of THC (tetrahydrocannabinol, the active ingredient in marijuana) in their blood failed in California’s state legislature in May. Assemblyman Jim Frazier’s bill, AB 2500, would have convicted of DUI any driver found with any amount of THC metabolites in the bloodstream. The bill was defeated in the State Assembly’s Public Safety Committee by a 4-to-2 vote. Medical marijuana activists and providers argue that chemical testing for marijuana is fundamentally unfair because the metabolites can stay in your bloodstream for days after the period of intoxication has passed. Regulated marijuana-DWI levels pose an unfair legal threat to medical marijuana patients who might have medicated even two or three days prior to driving. Had it passed and been enacted into law, AB 2500 would have made pot users guilty DWI whether or not they were actually impaired while driving. The proposed law also targeted cocaine, heroin, and other drugs. Even as marijuana use has increased in California over the past decade, DUI-related accident rates and DWI arrests in California have incrementally declined. 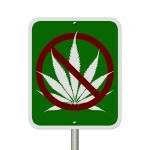 That’s not only good news – it’s also evidence that marijuana isn’t behind any epidemic of new traffic accidents. Of course, you can still be arrested for marijuana-related DUI if your driving behavior is erratic, if officers smell or see marijuana in your vehicle, or if you exhibit other signs of marijuana intoxication. If you’re arrested and charged with marijuana-related DUI or any DWI charge in southern California, speak with an experienced Orange County DUI defense attorney immediately. Any DWI charge is an imminent threat to your future, your freedom, and your finances. A good DWI defense lawyer will assess your case, compile evidence and witnesses on your behalf, and work to have your charge reduced or dismissed, or to win an acquittal. Protect your rights and your future; if you’re accused of DWI in southern California, speak to an experienced Orange County DUI defense attorney immediately.